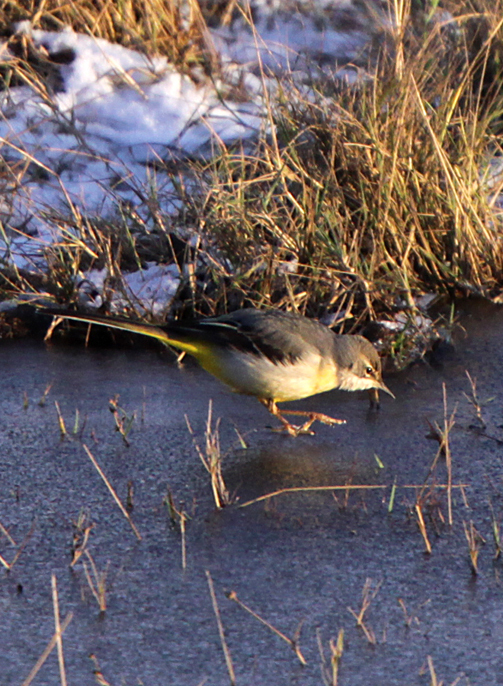 A good day today with a couple of genuine surprises, most surprising being a party of 3 Stonechats including one male out on the hill, and a sulphurous Grey Wagtail standing out a mile as it tried to find something worth eating on frozen puddles. 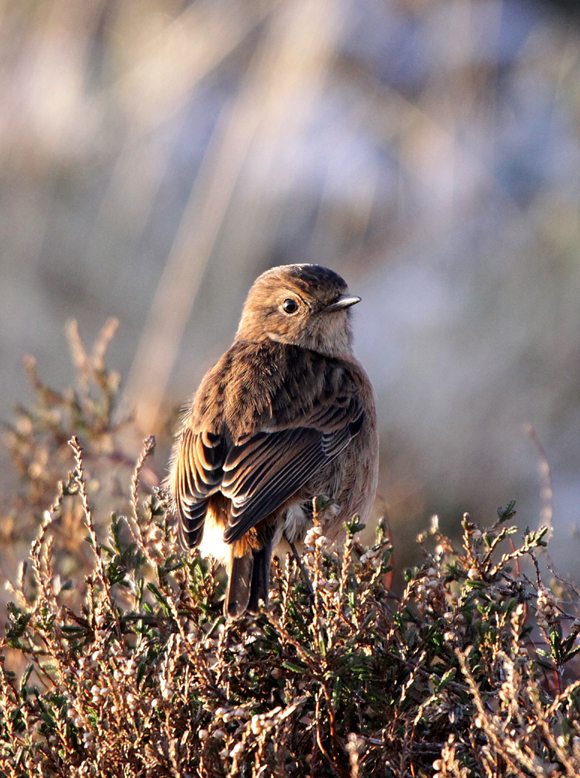 Stonechats were particularly photogenic in low warm winter sunshine on a reasonably calm day (temperature down to -8 deg C overnight last night, and only rose to a balmy -1.5 in the sunshine during the day today). No sign of any interesting gulls, despite the promisingly northerly wind direction. They’ll be along shortly. House! A yeartick at long last. It’s only taken 2 months, but I finally have a house yeartick at long, long last. And no, it’s not the greatly anticipated Long-tailed Duck either. Oh no. That pleasure is still to come. 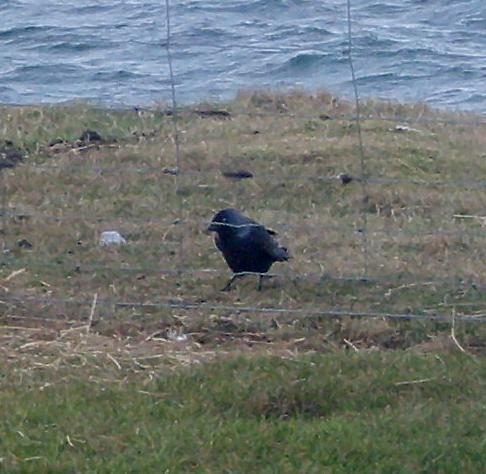 What should I find feeding amidst the remains of the sheep’s breakfast outside the kitchen window this morning but a fine Jackdaw. Yay. It even had a bit of a monedula-stylee collar and everything. 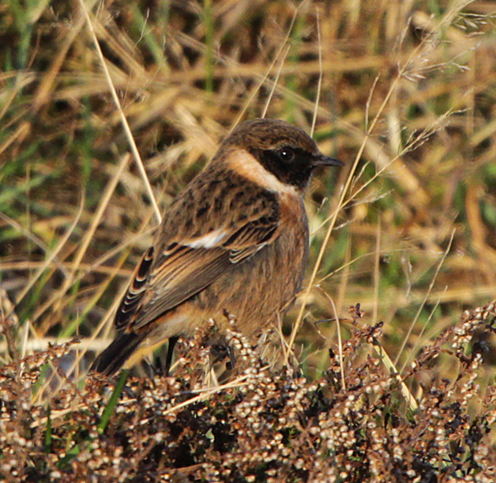 Sadly my camera was still out in the car, so had to make do with some snaps on a cheapy camera before it flew off, never to be seen again. Suffice to say, I did look while desperately scanning the very busy sea for a Long-tailed Duck. 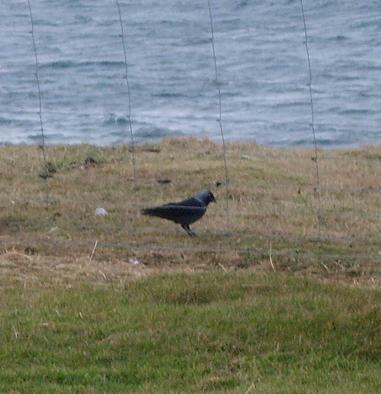 Northerlies are not good for me adding Long-tailed to the house yearlist as I really need a good calm sea to scope them from the bedroom window – they usually do not come into the bay below the house, so are a scope-job at distance down the coast. Mooched down the isle to have the usual fruitless look at the Eiders (almost 3 years to the day since I last found a King – they’re by no means a foregone conclusion here, despite our northerly location and good numbers of wintering Eider) and to see if the freezing freshwater areas had driven anything lurking out into the open. The usual small flock of 6 Purple Sandpipers at the Houb were being particularly confiding beside the car parking area, though the light was beginning to unhelpfully fade. 88 Greylags at Challister, nothing of note amongst them, and 5 Whoopers commuting between West and North Loch. North Loch broke all known records with a mammoth 5 (count ’em!) Goldeneyes. 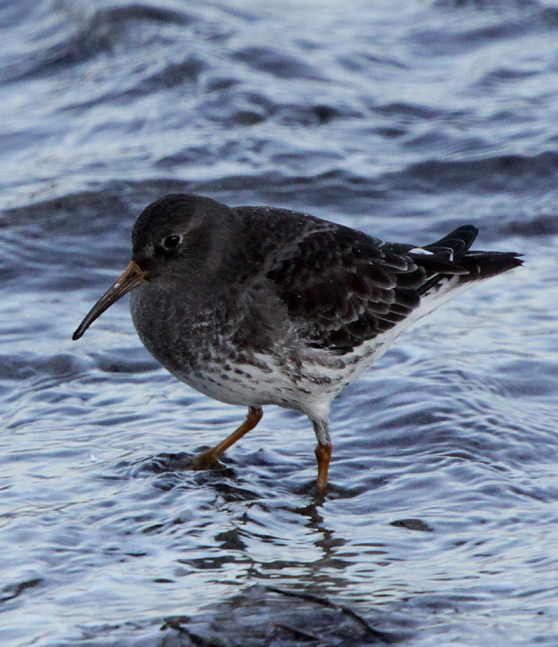 20+ Purple Sandpipers around the golf course coast, but nothing else noteworthy apart from several Snipe being obvious in roadside ditches where the water remains unfrozen – not for long, I suspect as the temperature was bang on freezing late in the afternoon, and we had enough snow to whiten the grass.